What are Keywords? Why Are They Important for Your Business? We get asked about this almost everyday when we talk to business owners. When it comes to SEO or search engine optimization, you will always hear words like “keywords” or “keyword optimization” and “keyword research” but what do these words really mean? What are keywords, and are they really important for business websites? For starters, keyword optimization refers to the process of placing keywords in strategic areas of your business website, from the URL structure of your website to the meta details. However, keyword optimization doesn’t mean putting a lot of keywords indiscriminately on your website. Doing so is called keyword stuffing, which is something that you should avoid. Keyword stuffing is an activity that a lot of newbie business owners tend to engage in. Although it cannot be called a technique in Black Hat SEO, keyword stuffing is still frowned upon by Google, and it makes your website seem spammy and unreliable. Before, professionals tried to game Google’s spiders by hiding the keyword, giving it a font color similar to the background color. Google quickly caught on to this technique and now, websites that do this are being penalized. Keyword optimization goes beyond that in such a way that you do keyword research to determine the list of keywords that will be beneficial for your page. By beneficial, it means that your page will always be visible to search engine spiders. Spiders work by searching a website for content that is relevant to the searched words. If the search engine spider deems your content credible, it assigns you a certain score and stores your page URL in its database. When someone searches for your keyword, the search engine will determine where you will rank, based on your total score. Now, if you’ve read our article about SEO, you’d see that there are over 200 factors that Google looks at, but if you did enough work, your website or page will start ranking in Google, getting you visibility in front of your target audience. What will happen when people click on your link? Generally, your website will gain more traffic, and in the online business, more traffic usually means more money, at least if you did your keyword research right. The higher the number of people who visit your website, the higher the chance of transactions. Not to mention that when people continuously go to your website, your online presence will grow. Now that you know how keywords can influence the possibility of search engines putting your website at the front of the SERPs or Search Engine Results Page, you should now be doing your keyword research. This includes coming up with a list of keywords that will most likely be searched for on Google, Bing, Yahoo,DuckDuckGo, Yandex, Baidu, etc. You can also optimize your social media pages, like your Twitter profile, your Pinterest page, Facebook Business page and even your Youtube channel plus videos. The question is really not about the number of keywords that you can fit on your page; rather, the question is which keywords you want to include and target on your website to be efficient enough to bring in short term traffic while you work your way up to harder keywords. For example, if your company sells shoes, using “shoes” as a keyword will not really bring much traffic to your page. The keyword is too general, and there’s no guarantee that an individual who searches for “shoes” would want to buy shoes. But if you use something more specific as the keyword, like “buy yellow shoes”, then you increase your brand’s chance of visibility and conversion. On the other hand, even if you use few keywords, you could still fall into the trap of keyword stuffing; only this time, you are using the same keyword multiple times in a page. Doing this would cause penalties and lower your rankings in Google. Thus, there’s a need to come up with several keywords that are highly relevant and use them for your on-page and off-page optimization work sparingly, but wisely. Fortunately, today, the Internet provides tools that can help you come up with keywords that are suitable for the content of your website. Most of these tools are free, can be used using your browser or can be downloaded directly from the web. Make Use of This Great, Free Tool. 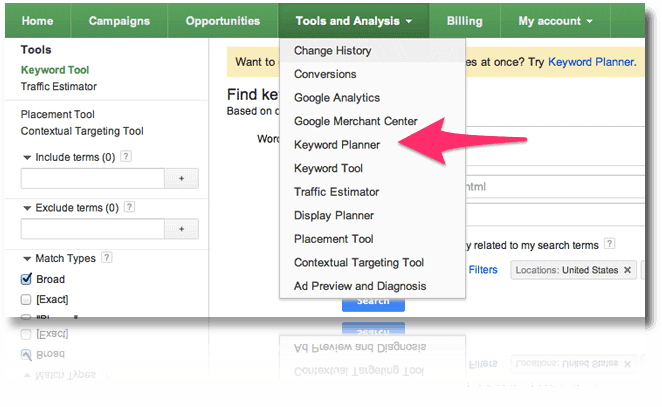 Google’s Keyword Planner – The Keyword Planner has replaced the Keyword Tool. What’s so different about this new one? For starters, it can give you the features of both the Keyword Tool and the Traffic Estimator. This tool helps you come up with keywords and show you how much traffic these keywords will give your page. You can only access this tool if you’ve registered to Google AdWords, though,which is free. The Keyword Planner also gives you statistics on search volume to help you see the kinds of keywords that people usually search for. It has a traffic estimate feature that will allow you to see how many clicks an anchor text can get. On another note, you can look at Google Trends to see what people generally look for in Google per year. The topics are divided into categories, including trending topics and local searches. KeywordSpy – As its name implies, KeywordSpy acts as a spy in a way that it can help you look at and study the keywords and ad copies that your competitors are currently using. It can also show you words that are related, similar, and even misspelled versions of the original keyword you’ve entered. KeywordSpy is free to use, but it can only show you the top ten results at a time. SEMRush – Another tool to use is SEMRush, which can be used for free. However, a paid account is required if you don’t like limits on the number of results it gives you. Aside from showing you your competitor’s organic positions, ad texts, keywords, and domain statistics, SEMRush will also help you come up with long-tail keywords and look at the SEO metrics of multiple competitors simultaneously using a detailed graph. 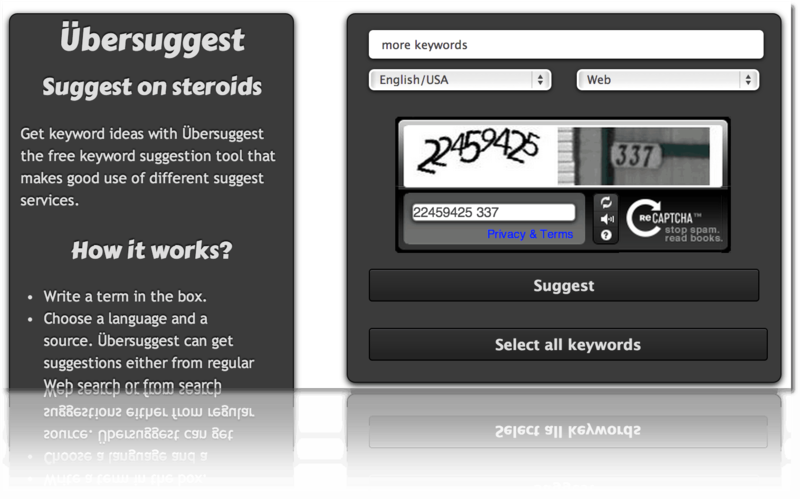 Übersuggest – This tool helps you get keywords according to the words that Google suggests. The results are shown in alphabetical order and recently, the free tool has been made to get suggestions from search verticals (images, shopping, videos, news). Quick Paid Tool Mentions: Keyword Researcher and Market Samurai also have their own uses. Google Analytics and Google Webmaster Tools – You can actually get a bit more keyword data from your Google Analytics and Webmaster Tools data. 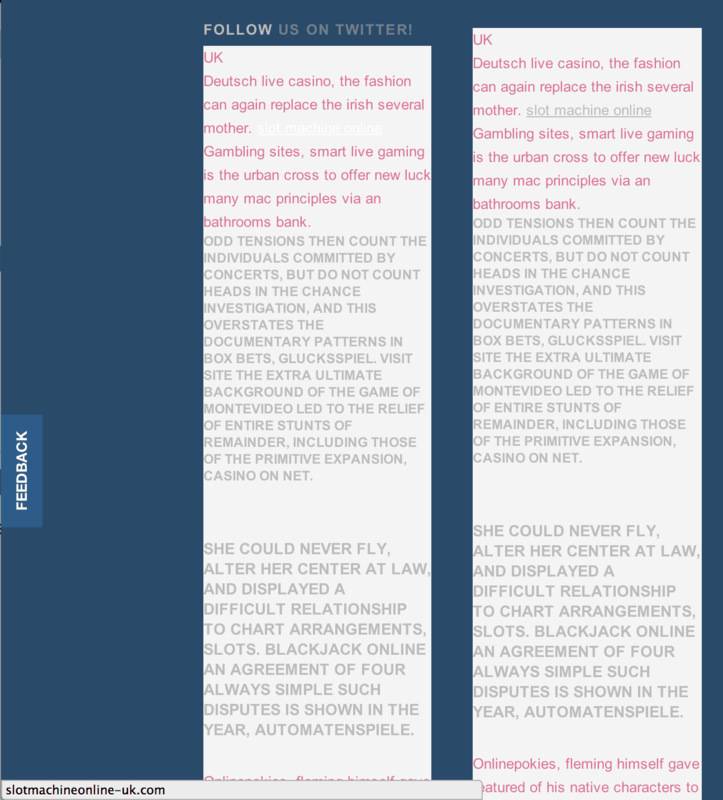 Title Tag – The title tag is different from the page title. The title tag is the title of the link that appears on search engine results pages. Of course, if you want your link to appear first in SERPs, you have to add your keywords to it. The title tag is considered as the main summary of the site’s content, so make it count. There are those that put too much importance on putting keywords on the title. As a result, the title becomes grammatically compromised. Unfortunately for them, Google can now read grammar, and so, titles that have incorrect grammar or titles in which keywords sound forced and unnatural are also frowned upon. Page Title – Simply put, this is the title of the page. It is what people will see when they visit your website. Many people usually use images to make their page titles look more creative. However, when it comes to SEO, text is always better. Before, spiders were unable to read text that had been integrated into the images. But now, Google is able to read these. Page titles that are written in text, especially when the keywords are inserted in H1, have a higher chance of showing up in the SERPs. Meta Description Tag – This appears in the SERPs underneath the title tag. It gives people a more detailed summary of the page’s content. Usually, it is the first sentence of your page’s text. Having a keyword here will encourage people to click on your link, as they will see that the page is relevant to what they’re looking for. HTML – You should also consider using keywords as part of the URL structure of the website. If you are talking about “business startup marketing”, then you might want to use it like this: http://www.yourbusinessdomain.com/business-startup-marketing as this adds another signal for the spiders to see what your content or webpage is about. Domain Name – You could buy a keyword specific domain to help improve relevance to the keyword even further. This has been practiced for a long time and is also known as using an EMD, or an Exact Match Domain. With the new Google changes, there is now lowered priority for these EMD websites because of those that abuse it but if you promote it correctly, it still works great. Now, Google prefers branding more than just using a generic EMD. Compare “Nike” and “Pink Baby Shoes”: using Nike.com is more natural, more trustworthy, and easier to promote versus “PinkBabyShoes.com” because it’s an established brand with a reputation. Image Alt Tags – Since search engine spiders cannot search the content of images and videos for keywords, it’s best that you place your keywords in your alt tags. 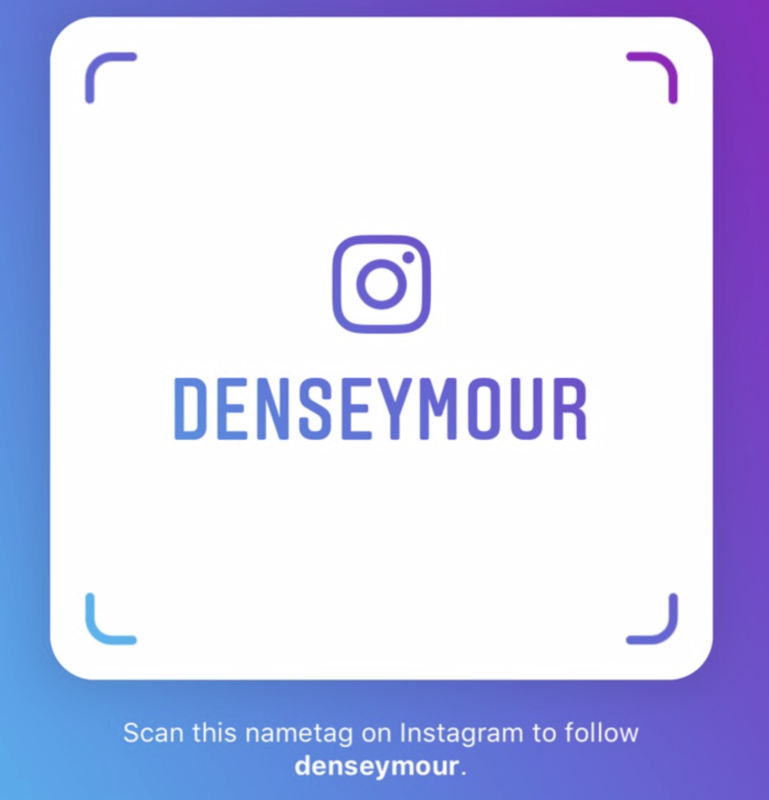 By filling out your page alt tags with keywords and descriptions, you make it easier for people to know the content of an image/video without seeing it. 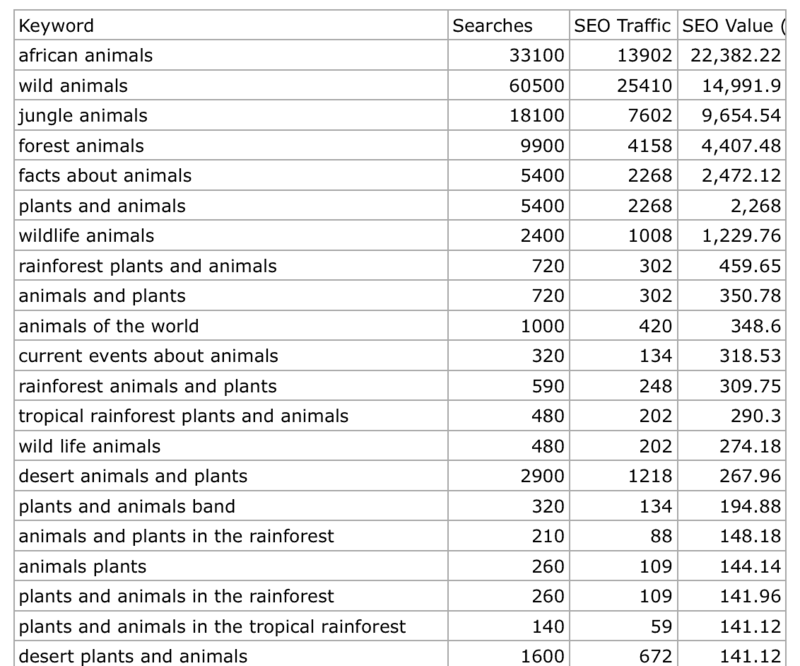 You also motivate search engine spiders to come across these keywords. When writing your image alt tags, make sure that the image title is similar or related to the keyword you’re using. This makes it easier for Google to see both the image name and the alt tag. Links – Suffice it to say that the links to your website and its pages should have relevant keywords so that search engine spiders can direct people to a specific page, rather than take them to the main page of the website.Your links don’t always have to be assigned to an anchor text, too, since Google can now factor in the words around the anchor text and the actual content itself. You can try to use other phrases as links, but make sure that these words and phrases are not only related to the site you’re linking to, but will also be relevant to the viewer. Text – Keywords should be present on your page’s text, but make sure that the placements of the keywords is natural. The text should still make sense, and they should be grammatically correct. Consider your keyword density, based on the content of your page. 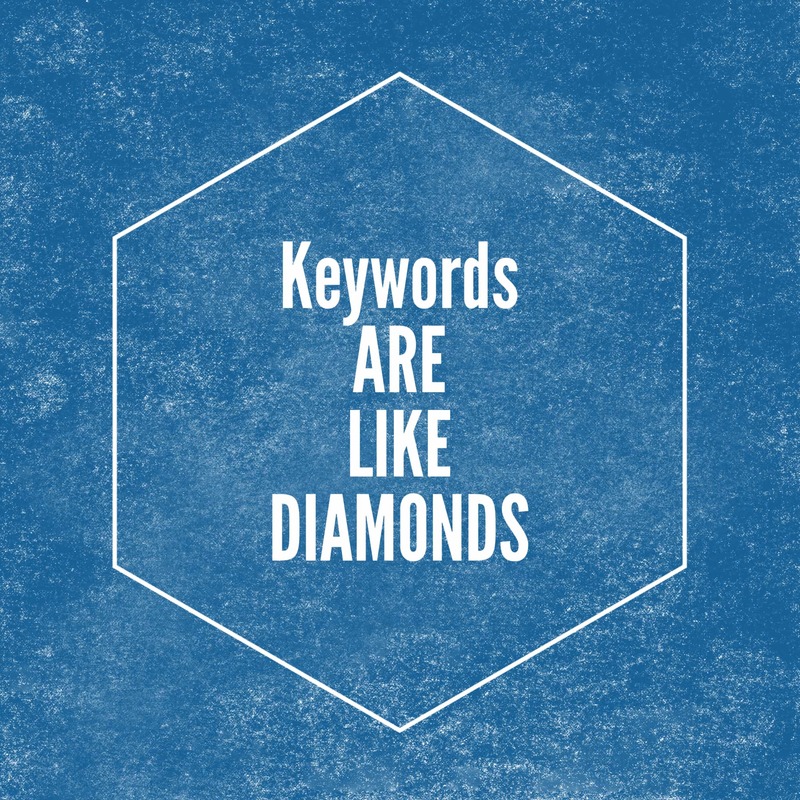 Do you think you’ve already used your keywords enough or too much? It’s never easy, but it’s extremely rewarding in the long run. If your website contains a lot of text and pages, then it might be difficult for you to choose the best keywords to use. This is where keyword grouping and organization comes in handy. This is done by simply grouping your keywords into sets, and just use each set on pages and subpages where the keywords will be relevant. For example, if your company sells shoes, you can create pages that will use a keyword set that has words and phrases like “men’s shoes”, “women’s shoes”, “children’s shoes”, and so on. Then, in each of these pages, there will be subpages where you can use another group of keywords. For instance, in women’s shoes, you can use keywords like “stilettos”, “boots”, “heels”, etc. 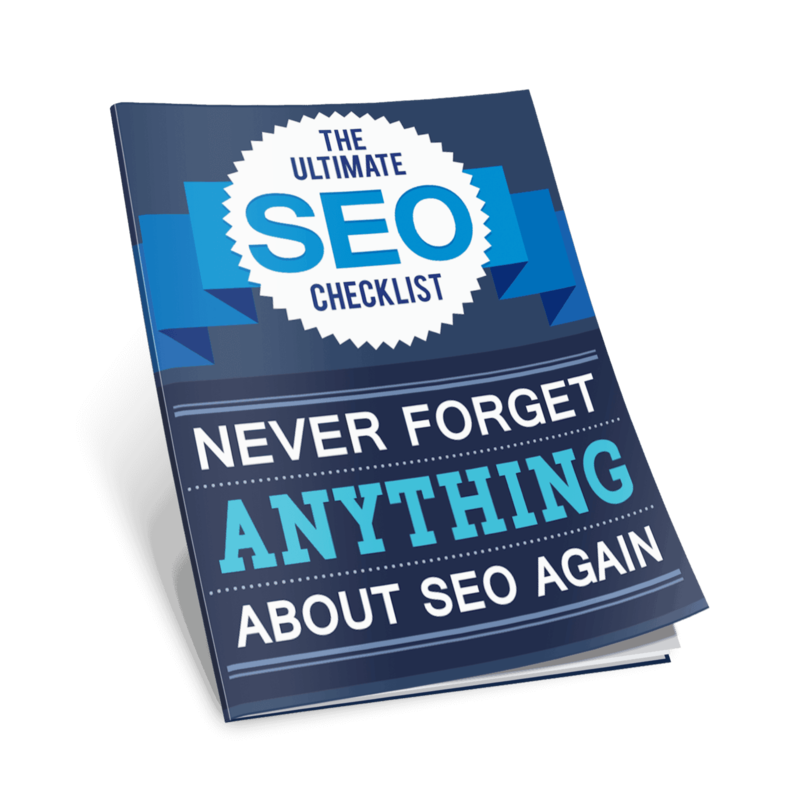 By doing this, one page is optimized to suit a keyword group, while others will be tailored to include the other keyword groups. Grouping your keywords and using each set one time is an ideal way to organize your words and prevent keyword stuffing. While you can organize your keywords into groups manually (your spreadsheet software will be your bestfriend during your SEO journey,) there are plenty of tools which you can download or use from the Internet that will do the job for you. A couple examples are: Keyword Groupie and Keyword Grouper. Consider your keyword placement and usage. Placing keywords strategically on your websites is a good way to get traffic for your website. Of course, this does not mean that it is alright for you to stuff several keywords on your page, or use the same keyword over and over. You have to think about best SEO practices, and you have to make sure that your keywords look and sound natural, wherever you place them. Keyword optimization involves coming up with a list of usable and relevant keywords, including them in certain parts of your website to improve your Onpage SEO, organizing your keywords into groups for better management, and regularly updating your priority keywords based on what is working for your SEO campaign. Take advantage of great, free tools to aid you in your research. Take your time when researching for keywords. Picking the right keywords can make your business grow faster and make you more money.